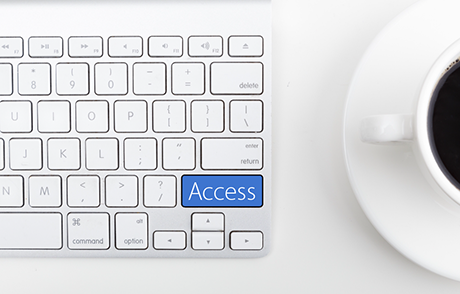 Accessibility compliance weighs heavily on academic researchers’ minds lately. And rightly so. Everyone has the right to have equal access to the information needed to complete their assignments for school. We all have a role to play in equal access. From the data transformations that take place from the researcher’s initial manuscript submission, to how users consume the information is complicated. We are all part of the ecosystem that impacts how content is perceived and made operable, understandable and robust. 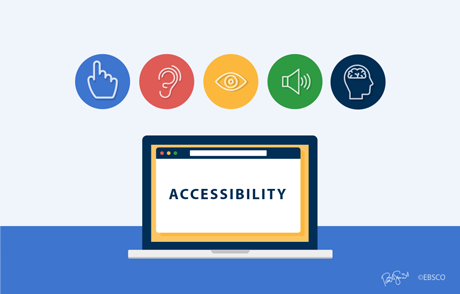 For anyone who is creating content to be consumed by others, there are tools available to make sure it is ‘born-accessible.” What that means is that in its initial creation, a document is created with accessibility in mind right from the beginning. Microsoft Office tools now allow one to run an accessibility check across documents. This check will flag issues and provide a means to fix them. You can read more about this in our previous post Five Ways to Create More Accessible Articles and Papers. There is functionality to add alternative text for any graphics and figures included. Adobe Pro also provides a robust set of tools to make documents accessible. Unfortunately, these tools aren’t obvious to the standard user and as a result often go unused. However, we must use this as a learning opportunity. Researchers can and should include alternative descriptions for their figures. Only they know the true intent of the content they are creating. We are all part of the ecosystem that impacts how content is perceived, operable, understandable and robust. Submission guidelines are at the beginning of the manuscript process. Many include guidance on how to make submissions accessible for users. This should be the standard across publishers, big or small. However, in addition to written guidelines, the key is to incorporate these guidelines into the software that supports the editing process of the manuscript. Publishing software should not only allow for the inclusion of accessibility tags, but encourage or even require their use throughout the process. This is another opportunity for authors to highlight the impact of their mode of communication, whether a picture, diagram, graph or table. Full acceptance of a manuscript should include an accessibility quality checkpoint. Ask your publishers what they are doing to make this happen. Providing the platform for which a user finds and consumes content is another critical element in making for an accessible experience for users. Aggregators must encourage their publishing partners to provide the content in a structured format that allows for flexibility in presentation and integration with other content and assistive technology tools. All labels or tagging provided by the author must be maintained and passed through any data feeds. Once the aggregator consumes the data feeds, any labels and tagging must then be leveraged directly in the user experience of the platform. 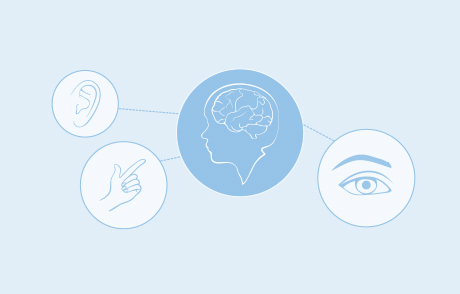 The aggregator must test the content for use with a variety of assistive technologies and users to make sure the information and presentation meets expectations. An open communication between aggregators and publishers is critical in this process to make continued improvements as technology allows. Customization is a high priority request for many libraries. Ideally, the user experience for accessing an aggregator’s content is similar to the library website as well as the institution. Highlighted library assets are also important to show students the breadth of information available to them. However, think carefully about color choice and the number of resources and options shown to the user. Cognitive overload is very common when too many choices are given at once. Low vision users also struggle to focus when there are too many options to draw their attention when using a magnifier. Less is more when designing a website for accessing content. Each student experiences the content through a unique viewpoint. When you think about the cross section between the different type and level of disability for a given user, the operating systems and devices they are using, the browser of their choice in addition to their preferred assistive technologies, the number of combinations is staggering. 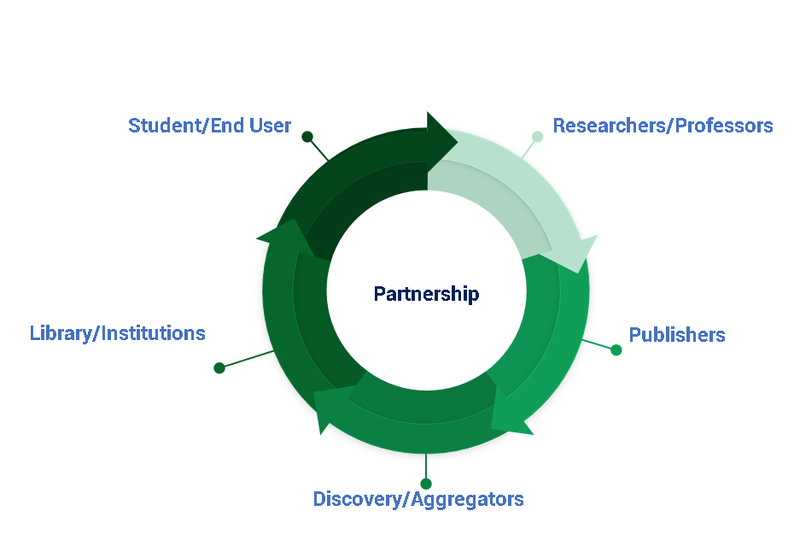 As partners in this ecosystem of accessible content, we need to remember that we are all working towards the same end goal — providing our students and researchers with the best experience possible. We will not be perfect, we will all make mistakes, but the goal is to always move forward, ideally helping each other along the way. At EBSCO we are always open to feedback and suggestions. Contact us at: accessibility@ebsco.com. 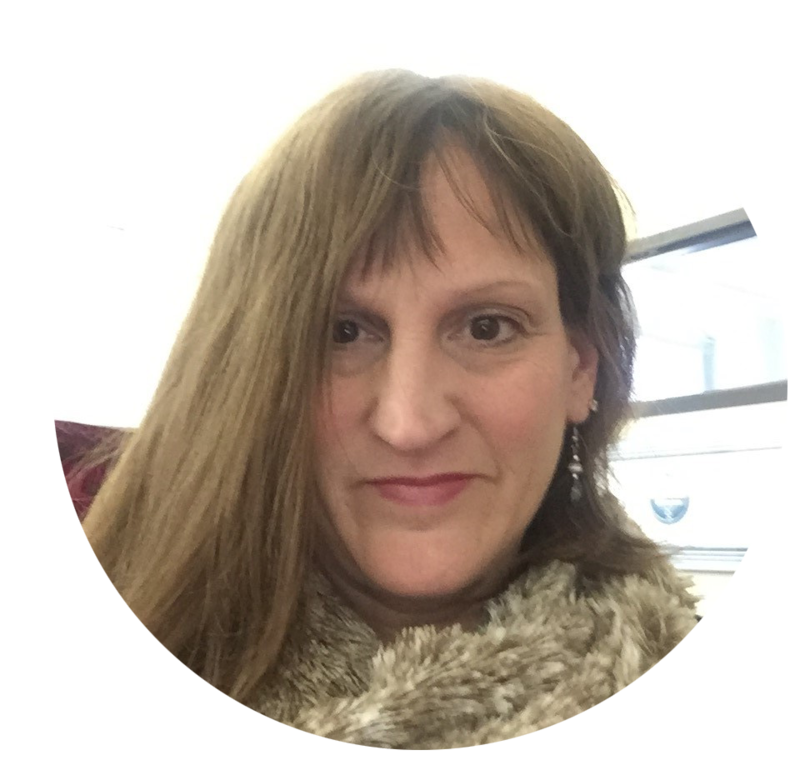 Jill Power has more than 15 years of experience in both product management and library services. At EBSCO, she has made it her mission to understand the users, any assistive technologies they leverage, and the way they access information and conduct research. She is an advocate for accessibility at EBSCO and for ensuring a continuous approach to making all their products accessible to all users.